When Mike King was eight years old, he promised his father that he will buy him a 1957 Chevy Bel Air on his 57th birthday. He made this promise because his father always dreamed of owning one. Mike never forgot the promise and fulfilled it when his father turned 57. 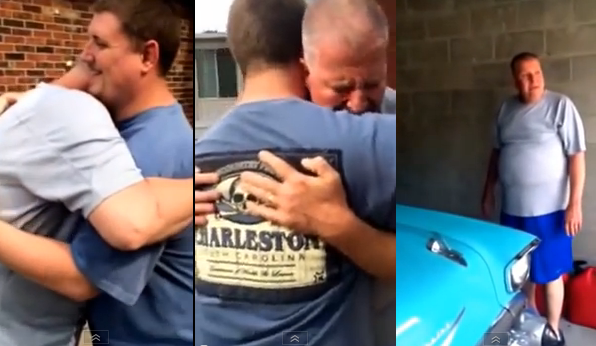 His father got very emotional upon seeing the car in the garage. He couldn't quite believe that he now owns his dream car. The 1957 Chevrolet Bel Air was introduced by General Motors in September of 1956. An auto icon, the car's image has been used in countless movies and television shows.